Apply your legal knowledge and theory in practical exercises such as mooting and disputes. Ideal for students looking for a career in law, including roles as barristers and solicitors. Benefit from multi-disciplinary experienced course tutors. Combined degree allows you to acquire legal knowledge with a grounding in criminology. New modules keep up-to-date with the changing world. Opportunities to network and gain experience with legal service providers, including legal practitioners. This dynamic combined course is designed to meet the requirements of a qualifying law degree. It is ideal for students who wish to become Barristers or Solicitors after graduation and for those seeking a wide range of careers in law or other sectors. You will develop a comprehensive understanding of the nature of law, the relationship between law and justice, and law in action. Further grounding in criminology allows you to draw on a range of perspectives useful for understanding law in context, with particular references to state responses to crime and the regulation of behaviour. Drawing on a multi-disciplinary team of experienced academics at the University of Suffolk, this course exposes students to the study of law in social, political and economic contexts, and in its broader international and transnational dimensions. Teaching here is research led and prepares you for the changing environment, in terms of both your prospective employability and your continuous self-development. You will develop skills in legal reasoning and in the use of legal principles to solve problems. As part of your learning, you will have the opportunity to practice your skills in seminars, workshops, moots and debates. This combined degree allows considerable opportunity to acquire legal knowledge in core foundation legal subjects while broadening your education with core subjects in criminology and further options in both in law and criminology. Further information on the University's relationship with the Solicitors Regulation Authority (SRA) and Bar Standards Board (BSB) is available in the PSRB register. Level 6 All Mandatory Law and Criminology Modules Plus one law option AND one criminology option from the level 6 (Year 3) options. Students will engage with the techniques of legal reasoning used in the common law world, the law-making process and the sources of law in England and Wales. This module also introduces students to the nature of legal obligations (contract and torts) and the principles and sources of EU Law. Students will have the opportunity to learn how to apply legal knowledge in practical exercises such as mooting and alternative dispute mechanisms. Public law is multifaceted and students will engage with a range of issues to include the relationship between the individual and the state, the effect of membership of the EU, devolution within the United Kingdom and the significance of judicial review. Students will be able assess the significance of human rights in constitutional and administrative law, with due reference to the impact of the Human Rights Act 1998. This module examines the concepts and principles of criminal law in England and Wales. It covers the general principles of criminal law and the substantive law concerning a range of offences. Students will be able assess the impact of the Human Rights Act 1998 on criminal law. Students will be equipped to interpret and apply cases and statutes to legal problems and engage critically with academic legal discourse. This module introduces students to some of the key thinkers that have influenced criminology. Students will be introduced to the history of criminological thought through the works of ‘grand masters’, offering a combination of stimulating biographical fact with historical and cultural context. Students will compare competing approaches as they explore the ‘social’ contagion that is crime; placing Criminology as a discipline that is subject to a number of influences. This module will introduce students to political concepts, principles and theories that shape policy responses to various social issues and problems with emphasis placed upon crime and deviance. The module involves an investigation of how modern societies understand equality and social justice and considers the ways in which the institutions of the modern state address social problems. Students will examine the development and function of the law of torts in society. The module places considerable emphasis on the current applications of legal principles, policy and academic discourses in this branch of the law of obligations. Very complex sets of social relationships are governed by legal concepts of duty, harm and compensation. The module also engages with the impact of human rights and EU law on tortious liability. Students will examine the principles, policies and practical applications of contract law from a variety of perspectives. They will develop a thorough understanding of how contractual obligations are formed and regulated, how legal principles and concepts are used to identify and resolve legal problems, and the function of contracts in society and the economy. The module also addresses the dimensions of contract law that are shaped by the impact of EU law. This module examines the laws and principles that comprise EU law and determine implementation in member states. The module covers the key aspects of EU law that have significant effect on social and economic activities - freedom of movement of people, goods and services, competition, and external relations. Students will also develop a sound understanding of the role of fundamental principles in EU law such as non-discrimination and equality. This module highlights the importance of political and cultural concerns of the period when considering the search for the ‘causes’ of crime. Students are introduced to the main theoretical debates occurring within the discipline of criminology. It examines the three broad levels of criminological explanation: the individual, the situational, and the structural. Thus the different theories within criminology that locate their main explanation for criminal behaviour at one (or more) of these levels are explored. Students will develop insights into how legal research is conducted to address substantive, procedural and contextual legal issues and how to apply techniques from related subjects in the social sciences and humanities. Since legal problems are often multifaceted, legal research methods require effective integration of doctrinal, theoretical and empirical research techniques. An important feature of this module is the application of legal research skills to solving legal problems and to the analysis of legal issues. This module equips students with a comprehensive understanding of the role of law in securing and protecting the rights and well-being of children within wider social, political and economic contexts. It is concerned with the ways in which the law constructs childhood, grants or denies them agency, offers them protection and security while negotiating wider, often shifting, understandings of childhood. This module seeks to explore how the development of policing and systems of social control relate to each other and to the historical context of policing. The module commences with a brief study of the key philosophical debates and historical events during which policing was introduced and legitimised against considerable opposition. Finally, students will interrogate how policing has interacted with, complemented or contradicted other institutions of social control in modern society such as welfare, education, health, or even financial agencies. This module facilitates an examination of youth crime from competing criminological perspectives. It evaluates the association between young people and crime from historical, sociological and legal perspectives. Students are exposed to the various ways in which social constructions of youth and crime shape criminal justice policy and systems. Selected substantive themes will be explored, and cover procedures, policies and social challenges. This module examines the institutions, practices and processes that make up the criminal justice system. Although areas of discussion will focus on policing, the courts, the penal system and the probation service, the main aim is to analyse the social, economic and political factors that underpins the values, practices and processes of these institutions. This module reflects that the drivers of Criminal Justice policy is constantly changing as new issues arise. Students will develop a solid understanding of the historical and theoretical foundations of English land law and of the current legal principles and concepts in use today. The module examines the development of the legal frameworks regulating property in land, including the normalisation of the registration of titles. The module explores and examines the different forms in which property rights in land arise and the mechanism used to accommodate developments. Students will develop a solid understanding of the principles and concepts used in the law of trusts in England and Wales, covering the main forms of trust property. The module examines the development and current application of the fundamental maxims in equity, using both primary legal sources and academic discourses. The module also contextualises equity and trusts by facilitating understanding of the historical, social, political and economic functions of this area of law. This module consolidates the legal research skills developed and enables students in to undertake independent research and write a dissertation. Students will develop their research proposals with support from a supervisor with knowledge of the subject area. Students will be able to develop advanced skills in doctrinal, theoretical and empirical methodologies to inform the development of their research and the writing of their dissertation. Students will engage with the origins, sources and application of international law in public matters. The module examines the law that governs international organisations such the United Nations and the role of international courts and tribunals in the interpretation of international treaties. 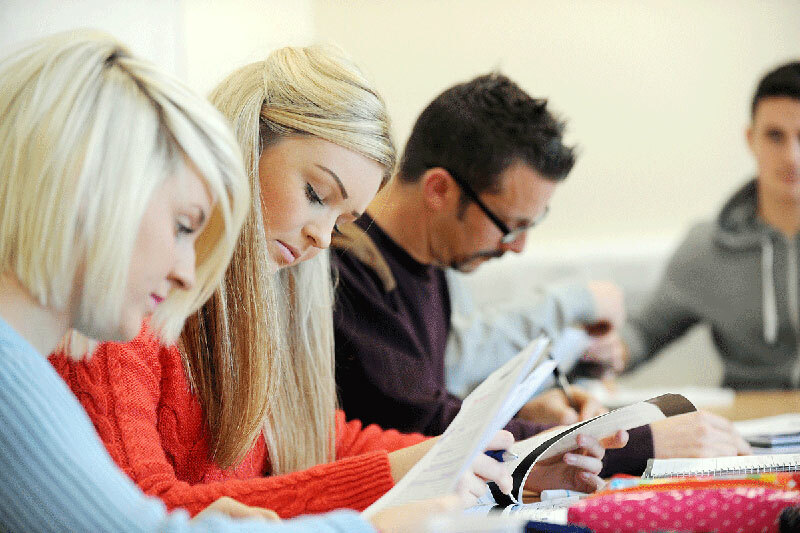 This module engages with the application of international law in areas such as border disputes, the law of the sea, foreign direct investment, environmental protection (including developments in relation to climate change), armed conflict, refugees, human rights violations and international criminal law. Students will develop a comprehensive understanding of substantive international law, it administrative and enforcement mechanisms and the range of theoretical perspectives on its history, purpose and effectiveness. This subject has attracted considerable controversy in recent years, not least because of the number of conflicts involving states on different sides of the political and legal arguments about the use and purpose of the International Criminal Court (ICC). Students will engage with the interaction between law and the commercial context in our understanding the development of corporate structures. Aspects of this module draw on material from other common law jurisdictions, such as Canada, the Republic of Ireland and Australia. In full recognition of the transnational nature of corporate activities, and the influence and impact of corporations on a wide range of issues that cross national borders and jurisdictions, this module engages recent developments in transnational law in relation to corporations. This module examines the law of criminal evidence in England and Wales. As well as providing a comprehensive introduction to key evidential rules, the module will explore the rationale and policies for these rules and encourage a critical evaluation of them. Statutory provisions will be examined in detail together with key cases that interpret them and develop the law in this area. This module takes a broad view of jurisprudence in order to engage with selected questions in legal reform – changes to legal frameworks, legal rules and legal principles to respond to particular challenges and problems. This module examines the jurisprudential underpinnings of legal reform as a feature of legal systems, and how law is used to address a range of contemporary challenges, including new technologies and climate change. The module will provide a comprehensive introduction to key rules of criminal procedure, such as bail, venue and sentence through the use of realistic case studies which will develop throughout the course. These will commence with the decision to prosecute through to trial and sentence. Students will develop an ability to apply these procedural rules to further factual scenarios. Students will develop a firm understanding of the purpose and function of civil rules in the litigation process and the bases for incorporating elements of ADR. The module uses practical situations to ground the application of legal knowledge. Students will also develop an ability to critically evaluate the purpose and function of civil procedures in terms of the wider social, political and economic context that informs legal reform in this area. This module considers both custodial and non-custodial punishment and a range of issues and dilemmas that might derive from these two key strategies of penal intervention. An exploration of the role and emergence of the modern prison and its internal culture, relationships and organisation will constitute an important element of the programme. Issues such as the ‘Americanisation’ of the penal system and the impact of prison privatisation will be raised when discussing the nature of imprisonment in the future. *modules will be offered subject to the availability of specialist staff. This module explores the national, international and comparative dimensions of human rights discourse and legal protection with an emphasis on substantive themes of direct relevance to criminal justice. Students will develop a comprehensive understanding of the key strands in the philosophy of human rights, the principal legal human rights regimes, and appreciate that human rights is a contested field. This module will expand upon previous learning relating to the social and legal construction of crime and deviance. Recognising the extent, patterns and impacts of victimisation are fundamental to enable informed discussion regarding crime and deviance. This module seeks to broaden students’ understanding of contemporary crime and criminal justice, by exploring the concept of victimisation, the experiences of crime victims and developments in response to them both within and outside of the state. This new module covers a range of topics related to the central theme of illicit drugs. The module introduces the student to issues and theories relating to the nature of drug use throughout the twentieth century and in contemporary society. Substantive topics include critical engagement with explanations of drug use from the psychological and sociological literature; the perceived 'normalisation' of drug use and societies fixation with the current War On Drugs. Students can progress in to a range of law and criminology related careers, including roles as Barristers and Solicitors as well as other careers within the law sector. Examples of careers students may pursue include: legal practice (with further training for those intending to become Solicitors, Barristers, Chartered Legal Executives, Patent Attorneys or Trade Mark Attorneys), local government, criminal justice roles, social justice, financial services and journalism. At the University of Suffolk, your tuition fees provide access to all the usual teaching and learning facilities that you would expect. However, there may be additional costs associated with you course that you will need to budget for. Applicants are expected to hold GCSE in English and Mathematics at grade 4/C or above.